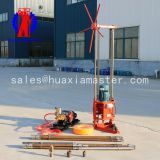 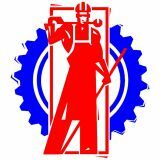 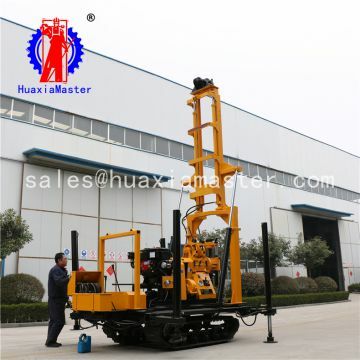 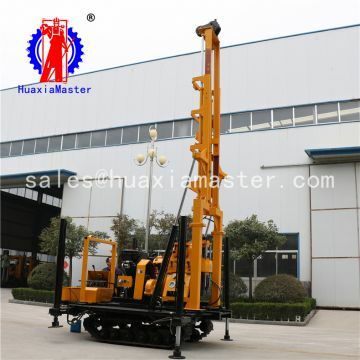 l drilling rig uses automatic Telescopic drilling rig ,it uses two high-strength cylinders to support.There is a group of hydraulic valves to control super nation of drill tower so that it saves time and effort, safe and reliable when user operates, the maximum for the user to create benefits. 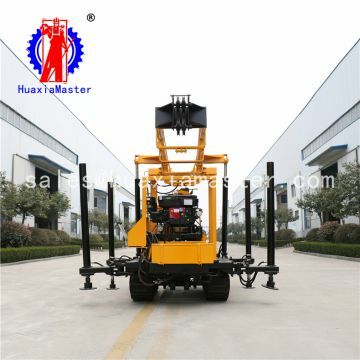 l the chassis uses a rubber belt track so that the weight is light,the cost of life cycle is lower.It can reduce noise of the vehicle walking mechanism,reduce car body＇s shake,reduce the oil consumption.It can walk on the pavement of city and don＇t hurt the pavement. 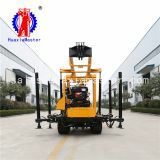 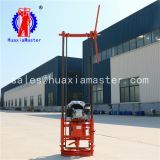 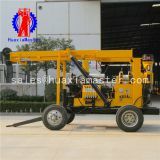 l the chassis comes with four high-strength threaded legs(or Hydraulic high leg) the threaded legs install rate and adjust is fast and convenient, can be used for work plane leveling.It can make loading and unloading reduce the cost of to improve efficiency.It also can be used as auxiliary support when the track drilling rig is working. 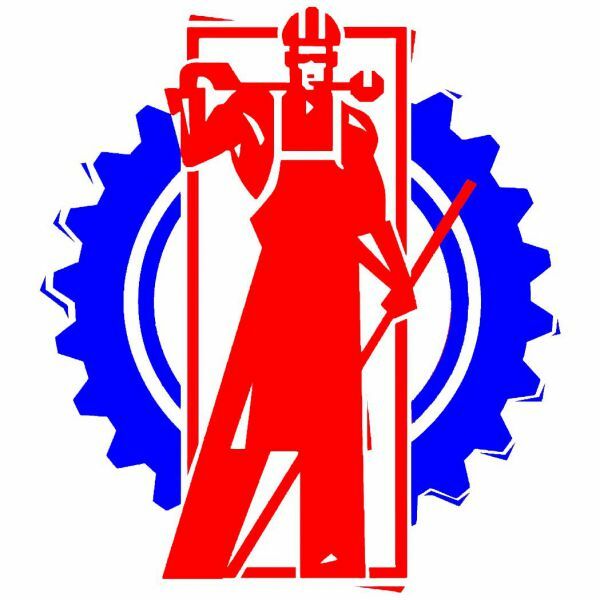 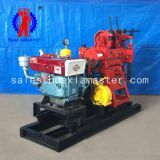 l using 48V electric starting diesel engine is reduced the operate＇s labour intensity greatly.Especially in cold season,when diesel engine start hardly,it will show superiority vastly. 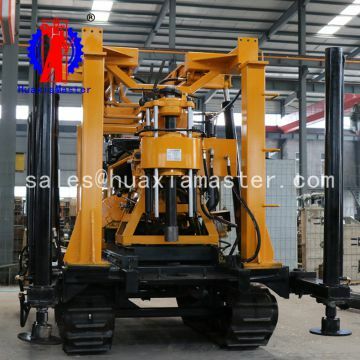 l the machine is equipped with BW-160 independent mud pump,the pump flow and pressure are big,the maintenance is convenient,the parts of the machine are convenient to buy all over the country. 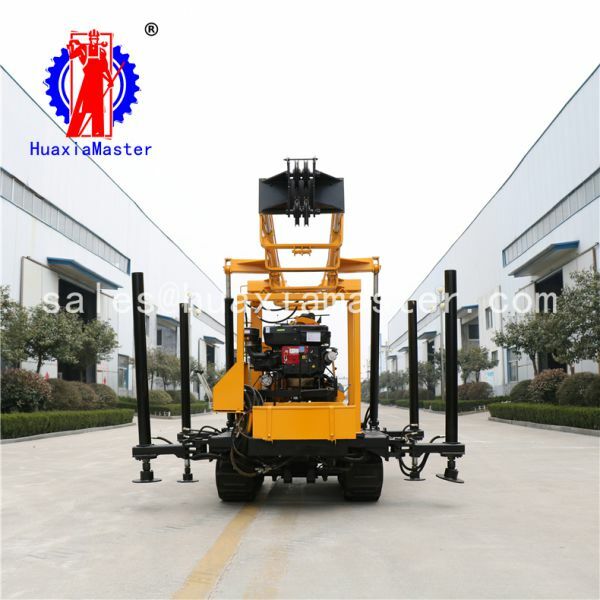 INQUIRY ABOUT 200m crawler hydraulic water well drilling rig machine for saleShandong Master Machinery Group Co.,Ltd.